We plant a garden every year…some years it’s good, some years we look forward to the next year. We used to plant a large garden at Emily’s grandparents’ house. With all the running around we do, it became unmanageable. We still love fresh food and you can’t beat the price (although, building up the garden area ain’t cheap…though that was our decision). So, we built a few raised beds in our back yard and planted them full of stuff. We started with the largest area built from old railroad ties. We filled it with peppers, broccoli, onions, tomatoes and potatoes. About midway through the summer, we added two 8-foot beds to the mix. 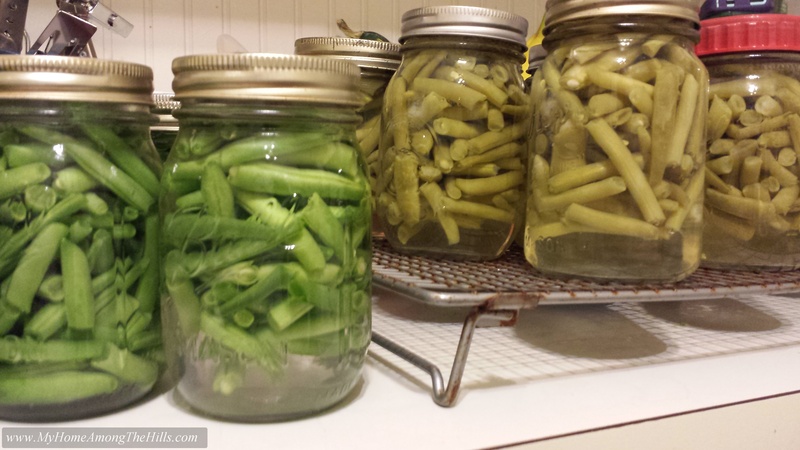 You see, we didn’t have any green beans and we absolutely love home-grown green beans. I think the most we ever canned was 70 quarts one year. That might have been a bit much but we really enjoy beans. 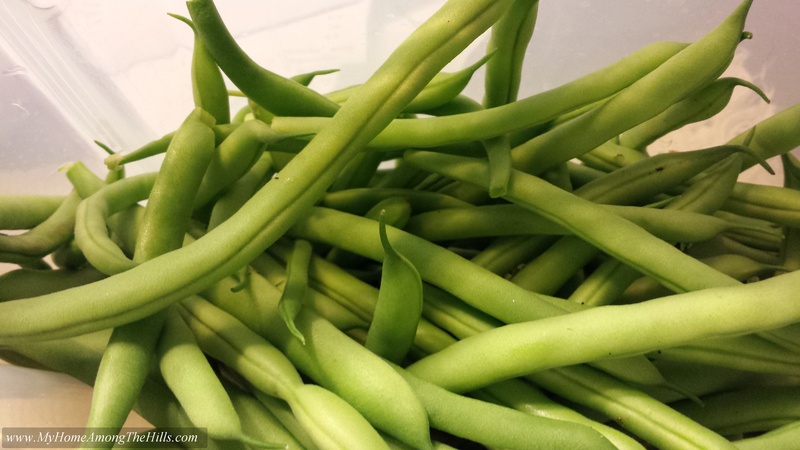 Anyhow, with our decision not to plant a garden at Emily’s grands’ place, we were sort of without when it came to beans…on a chance, we decided to plant green beans in July, hoping to have a small crop by frost. We harvested a bunch of beans yesterday and had more than a small crop. Although not a 70-quart crop, we canned 20 pints last night! Next year, we will be ready to plant an early spring crop as well as a July crop, hoping to double our return! It’s so cool that two small rows of seed can make us a bunch of food that we will enjoy until next year!The best part is that they were canned within a few hours of being picked…hard to get any fresher than that! I am very impressed with your resourcefulness and pioneer skills! This is what Butch wants to do in retirement. We may have to chat about your pressure canner one day. I’m always up for a chat about pressure canners! Yeah…I guess that sounds a little weird…anyhow, it’s easy and tastes great!! I am SO jealous. I have no luck at all in my area with growing things to eat. Eric teases me about the very subject of building up the beds and the cost—“How much did that tomato cost us?” Despite the $$$$ for amending/building up the soil, the heat and rock hard well water beat me every year. You’d think I’d give up, but I don’t. The soil calls my name every single year when the temperatures climb into the 40s/50s and the grass begins to green up. All I remember from my childhood was eating piles and piles of canned green beans. I grew to hate them so when I left home, I swore I would never eat any every again. Now that I’m older, I kind of wish I had a bunch of canned green beans to eat. When we get our garden up and running, I’m going to have to give them another go and I’m guessing this time, I will love them just as much as all the other dreaded childhood foods that I now love. It is expensive to build raised beds, but with the cost of real produce in the stores, I think it probably pays for itself after not too long…and it’s darn sure better tasting! I didn’t like any veggies as a kid and my people were big gardeners too…I figure it was being a kid, not liking veggies. Anyhow, I love them now! Our garden got hit by very large hail this year. I managed to harvest a whole cup of green beans. 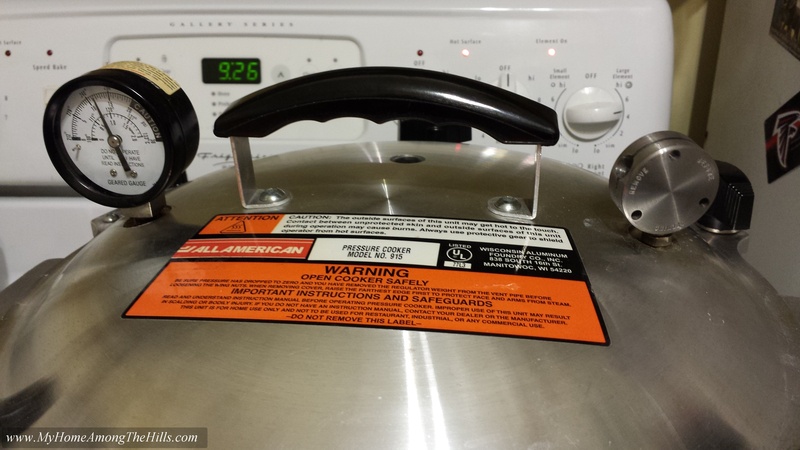 I’ve been looking at buying a pressure cooker, but have never used one. It’s pretty intimidating. I assume you would recommend the All American? What size do you have? I def like the All American canners…I think we have the model 915. It’s a 15 quart canner. Of course, you can’t fit 15 quart jars in it. I think we get 10 pints in. Anyhow, I like it because it is substantial and does not have a gasket that can go bad. We have the ones you get at Wal Mart and places like that…Mirro and Presto brands…they work very well too and are a LOT cheaper. We just decided to make the investment. As for being intimidated…the old style ones were dangerous if you didn’t mind pressure, etc but all new ones have safety valves and stuff to make sure they don’t explode. It’s not a big deal in my mind at all any more. I probably wouldn’t use an old one but new ones are fine!